Choose your Capacity from 16GB, 32GB, 64GB, 128GB. 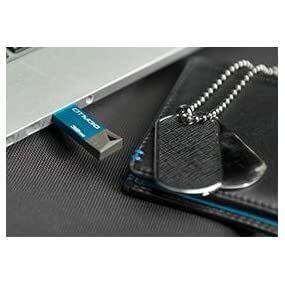 Kingston's DataTraveler Mini 3.0 features a compact form factor that makes it the ideal companion for devices in which the USB ports are close together. It fits on a key ring or in a pocket to keep it accessible. 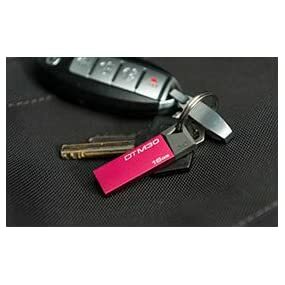 This cap-less drive is available in multiple colors and includes a key loop and metal casing to protect the drive from drops, bumps and knocks. Small form factor leaves plenty of room to use your other USB ports. Built-in key loop makes it easy to carry. Will the DT Mini 3.0 Work with Your USB 2.0 Ports? Why Do You Need the Faster Speeds of USB 3.0? USB 3.0 helps you save more time and USB 3.01 drive transfers files faster than USB 2.0 drives. Depending on the type of files you transfer, USB 3.0 can save you a lot of time compared to standard USB 2.0 drives. DataTraveler Mini 3.0 is backed by free technical support and legendary Kingston reliability.